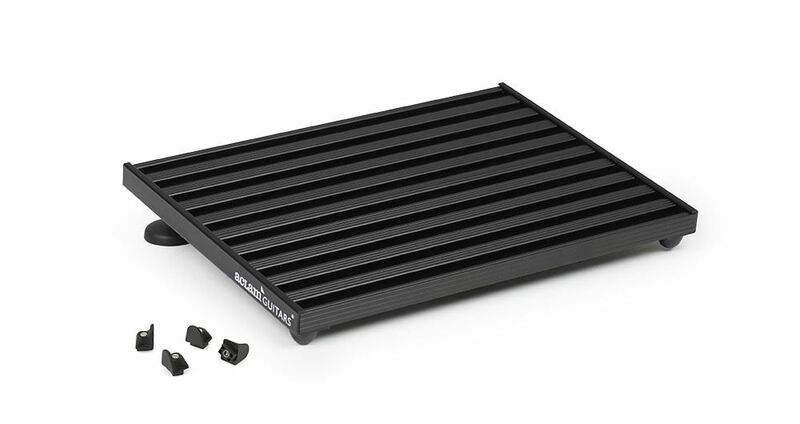 The Smart Track XS2 pedal board is compact, solid and durable, making it the ideal option for keeping from five to seven effects pedals mounted in a way that’s clean and well-organized. The Fasteners system is quick and easy to use, as it has been designed to ensure your guitar pedals remain securely attached to the pedalboard while being transported and used at practices, gigs and even during tours. It will keep your pedals in brand-new condition. Since the wiring system is located at the top of the board, changing the pedals’ configuration is easy and virtually instantaneous. 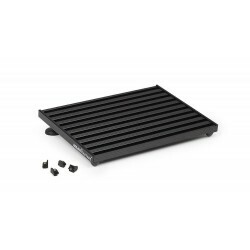 The adjustable rear feet are specially designed to adapt to uneven surfaces on any stage. 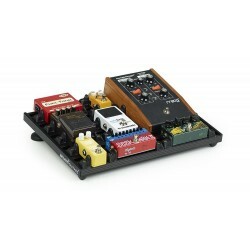 Plus, the pedalboard’s compact size means you can place it just about anywhere and it won’t take up too much space. The modular design opens up a world of possibilities. 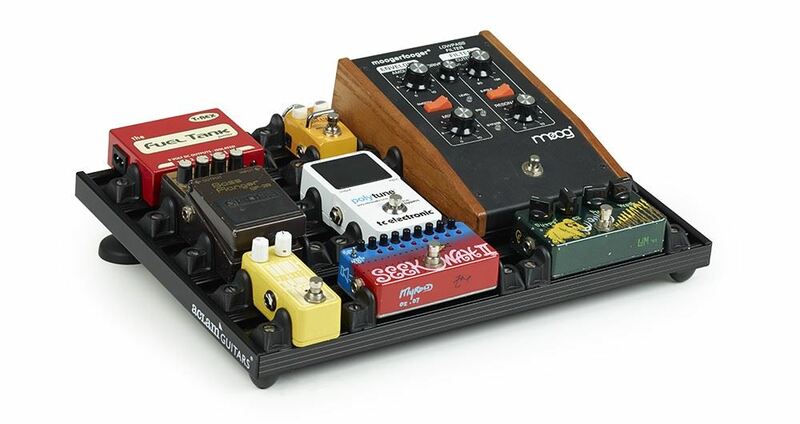 For example, you can convert it into a smaller guitar pedalboard without having to buy a new one: just add an Upper accessory to the two side sections, or place it on the second line of pedals in order to raise them, and you can continue playing comfortably. 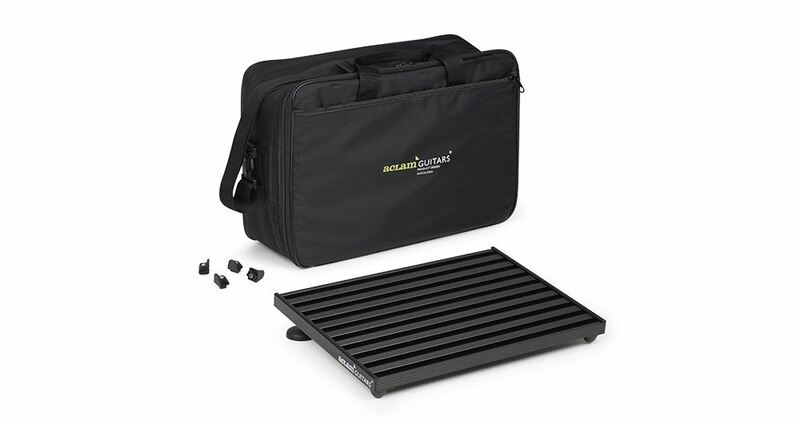 This lightweight, durable pedalboard is made from anodized aluminum and is easy to transport using the softcase that has been made to fit for each model. But what if one day, you want to change to another system? 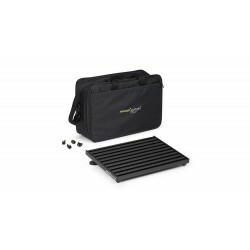 Turn the Track upside down and transform it into a Velcro® brand strips pedalboard in a single move!